Whats better than tea and cake? Nothing. Silly question. What goes well with tea and cake? Pretty but practical sets. 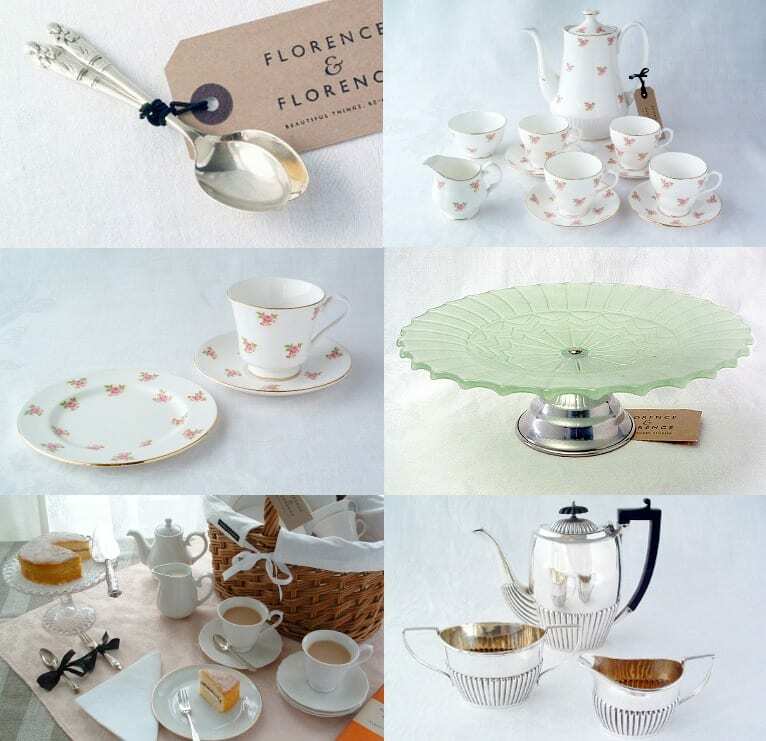 Florence and Florence is an online vintage shop, set up by Christine and Annie Florence, a mother and daughter who share a love for gorgeous items and specialise in finding “beautiful second-hand pieces which have already had a previous life” then they “re-love” them, making them shiny and new(looking)! Clean vintage, which personally is the only way I like vintage. 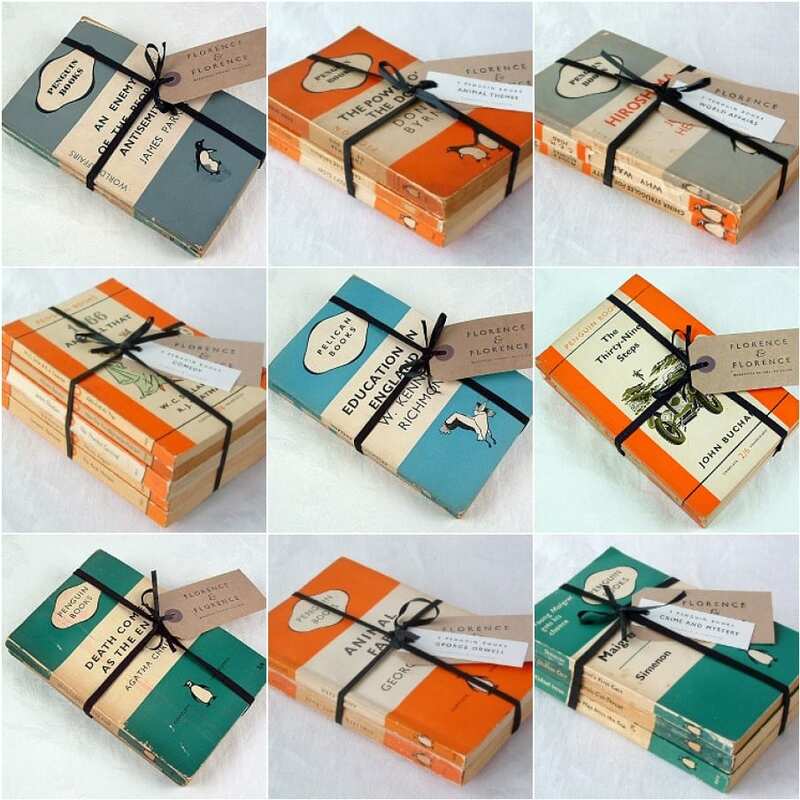 Wouldn’t it be great to have whole shelves of old style Penguin books? I may have to start hunting in the charity shops! Am not supposed to be window shopping today, damn you. Wow, this shop looks gorgeous! I would quite happily buy *all* of them! I need the spoons. And the Penguin books. And everything else. I know what my payday money is going on!